EXHIBITIONS, COMPETITIONS, MEETINGS, E-NEWS, INTERESTING ARTICLES, YEAR BOOK UPDATES. To enter the Members Only Area of the KCPA Website please register your details including your Associate Club. You will then receive emails directly keeping you up to date with all that’s going on. 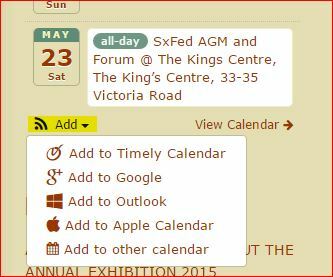 Also on the sidebar click ADD, highlighted in screenshot, to have any KCPA events appear on your selected Calendar. The aim is to improve the communication between the KCPA Committee and the General Membership.